While staying in this Colonial-style villa, you’ll be treated to upscale amenities and views of the Cul de Sac lagoon and ocean. 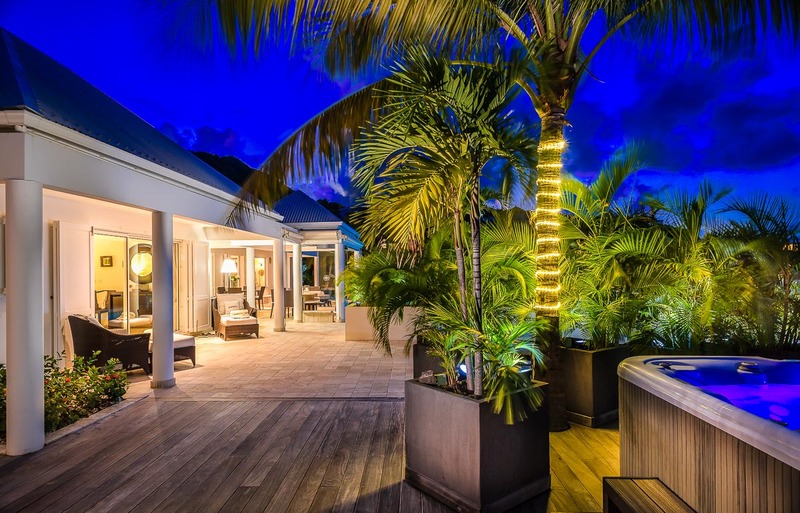 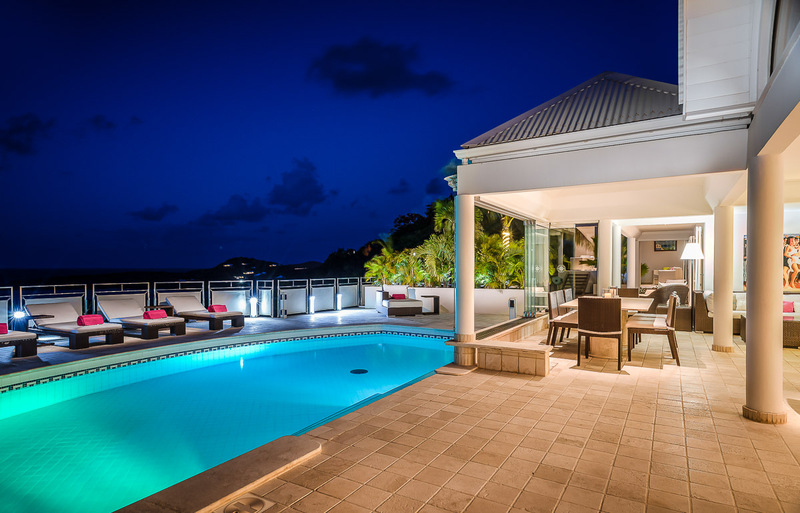 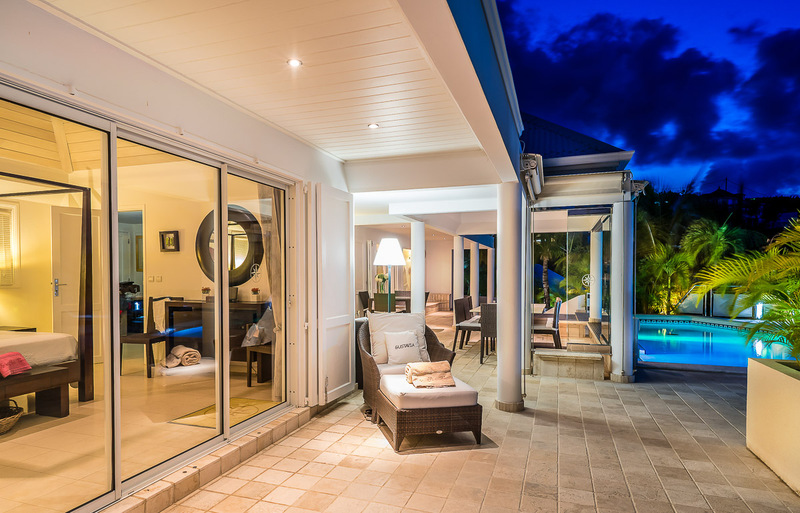 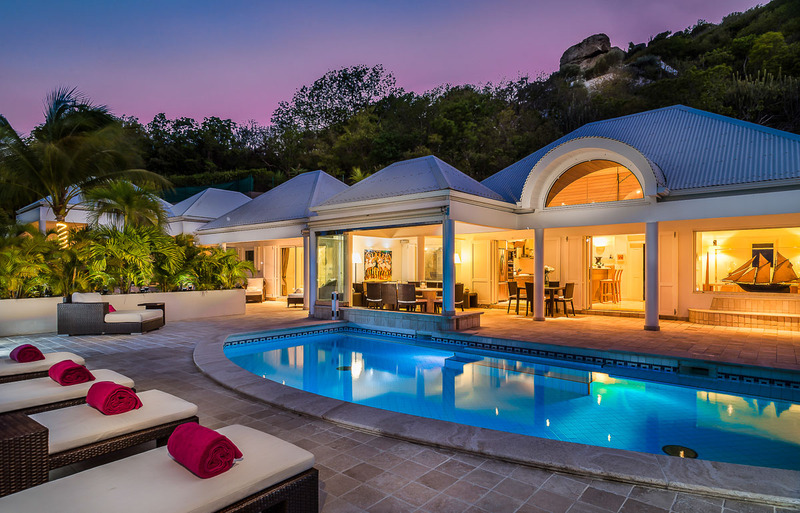 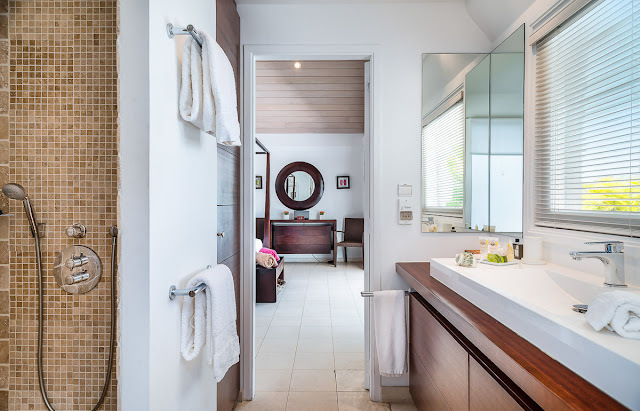 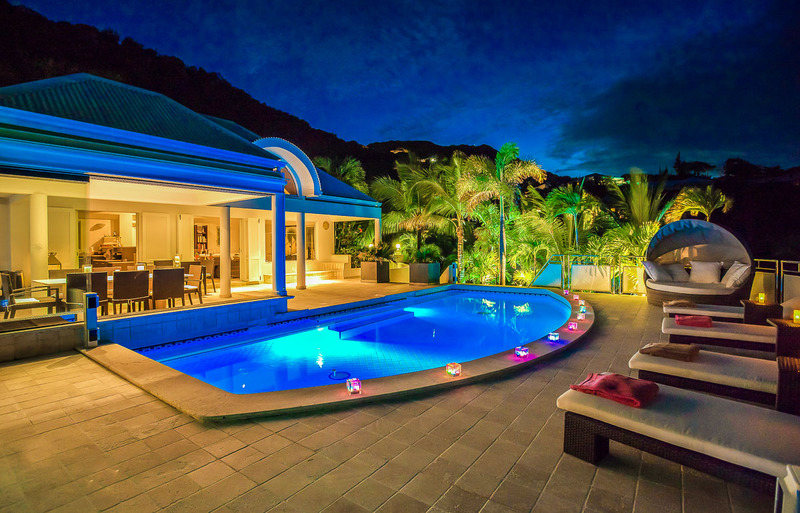 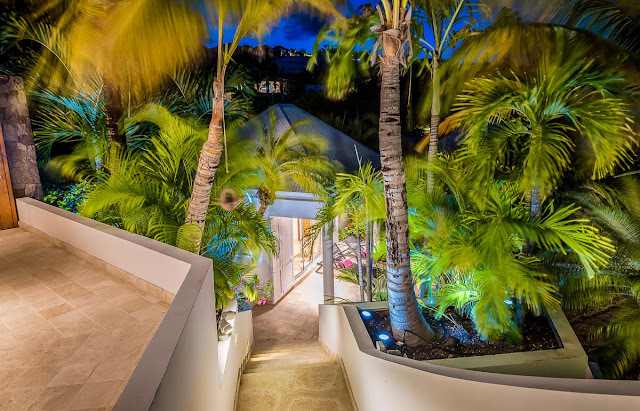 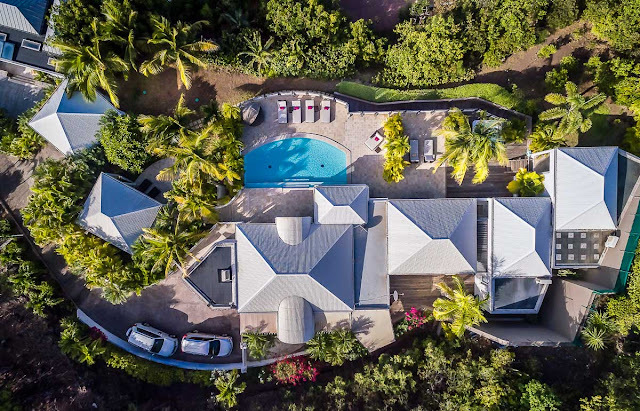 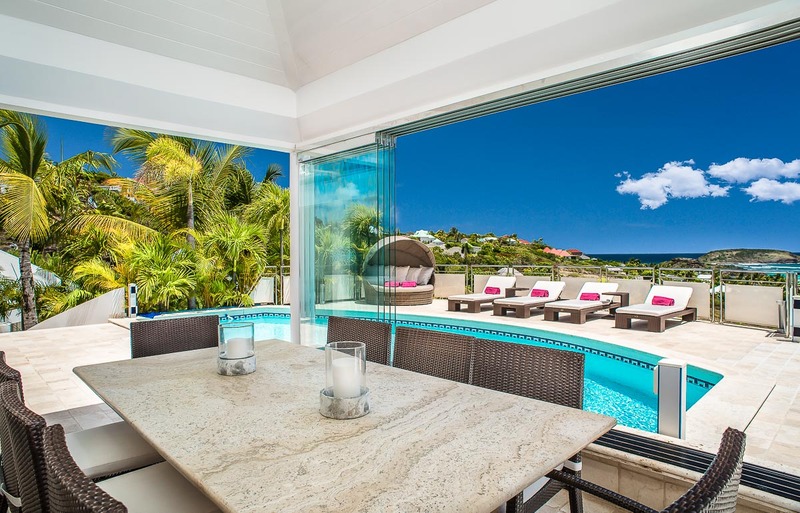 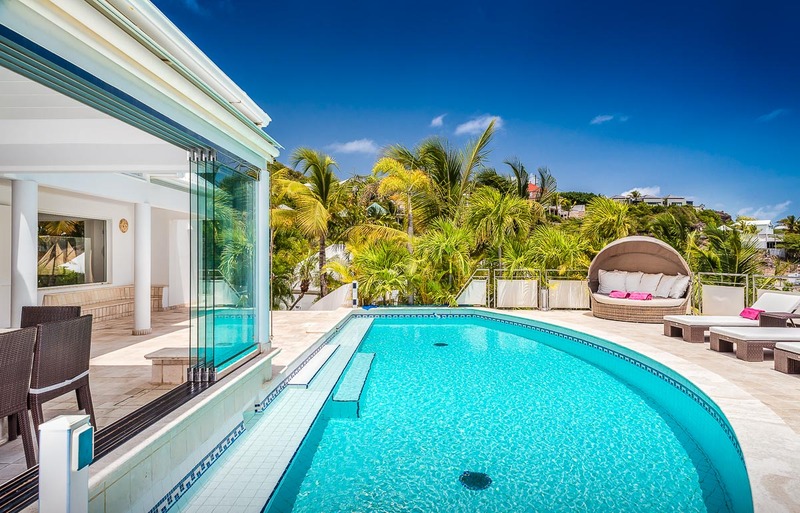 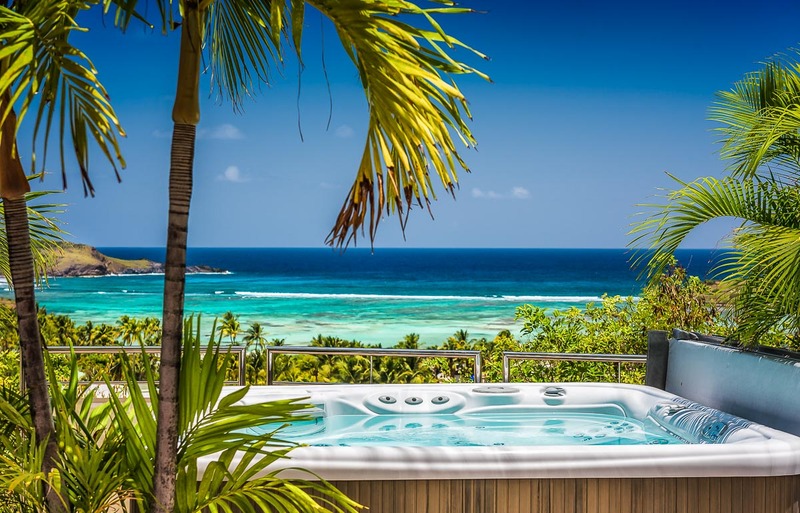 Boasting contemporary decor, this is one of our most modern St. Barts villa rentals. 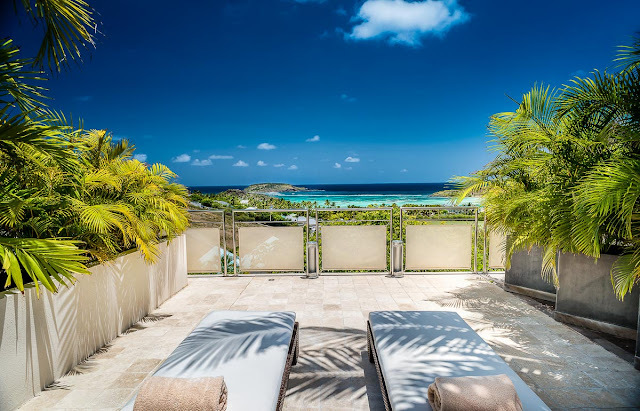 St. Barts has a reputation for being a go-to destination by the rich and famous thanks to its uncrowded white sandy beaches, designer boutiques and prestigious atmosphere. 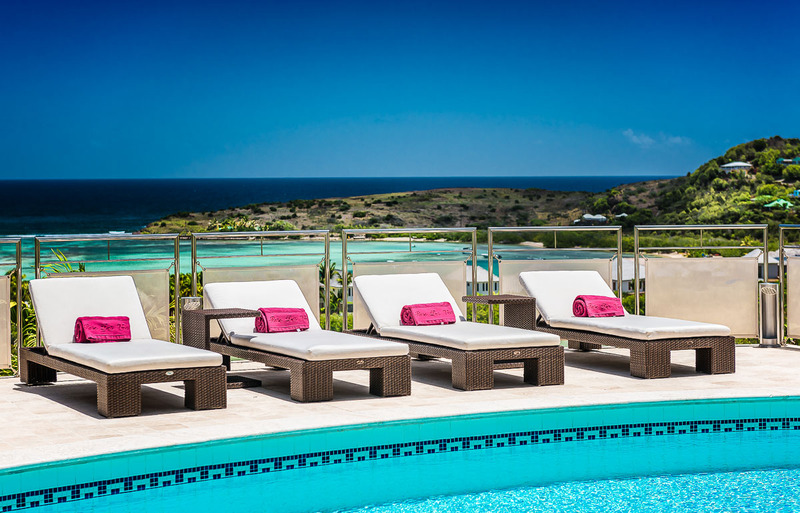 Enjoy a day of lounging poolside on one of the many stylish sun beds on the terrace, it faces the water and is surrounded by palm trees. 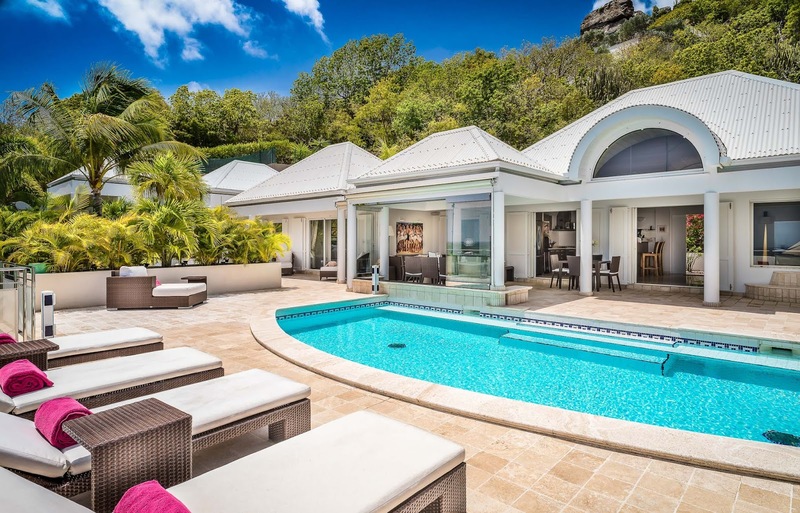 If you get warm, go for a dip in the immense pool, or cool off with an alfresco shower. 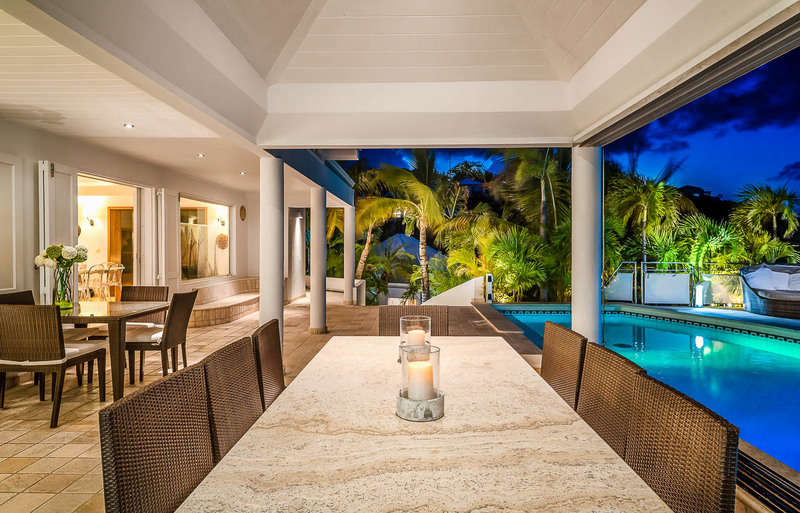 Once the sun sets, this area lights up and is perfect for entertaining—there’s a gas barbecue and an outdoor dining area, as well as a heated Jacuzzi for soaks under the stars. 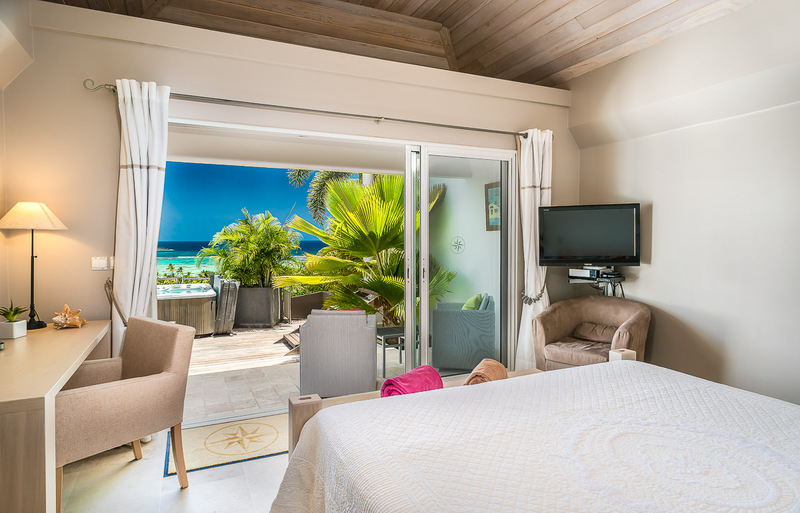 Start your mornings in the fitness room, and for an extra fee, the concierge can also arrange for spa treatments and child care service. Daily housekeeping (except Sundays and holidays) and linen changes are included with your stay. 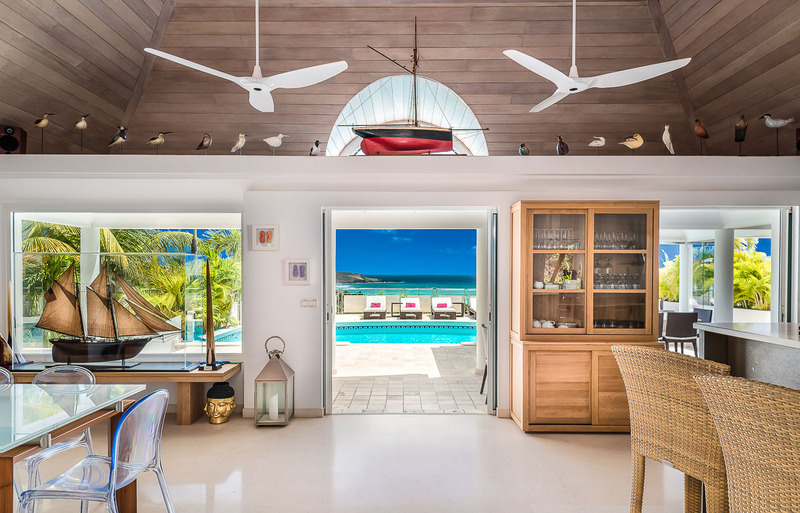 Once inside, you’ll still be able to see the ocean from every room of the house. 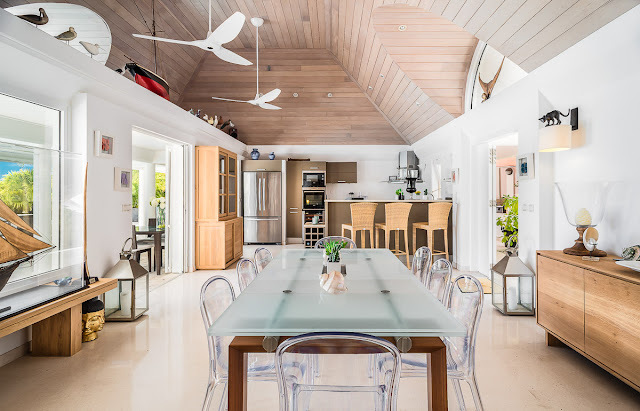 You’ll notice a nautical-themed decor in the living space of this luxury villa, as well as soaring ceilings and island-inspired furnishings. 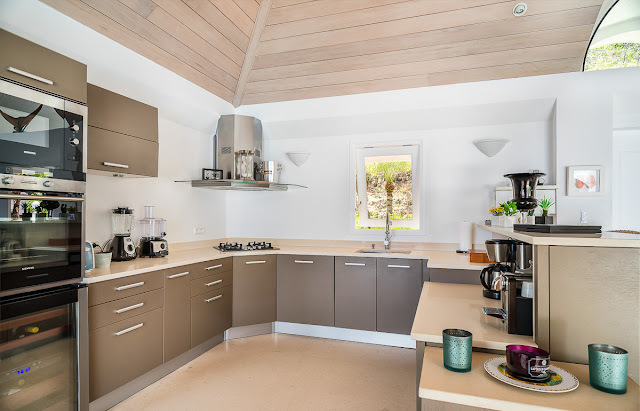 The sleek kitchen is fully equipped with stainless steel appliances including an espresso machine, wine cellar and a dishwasher. 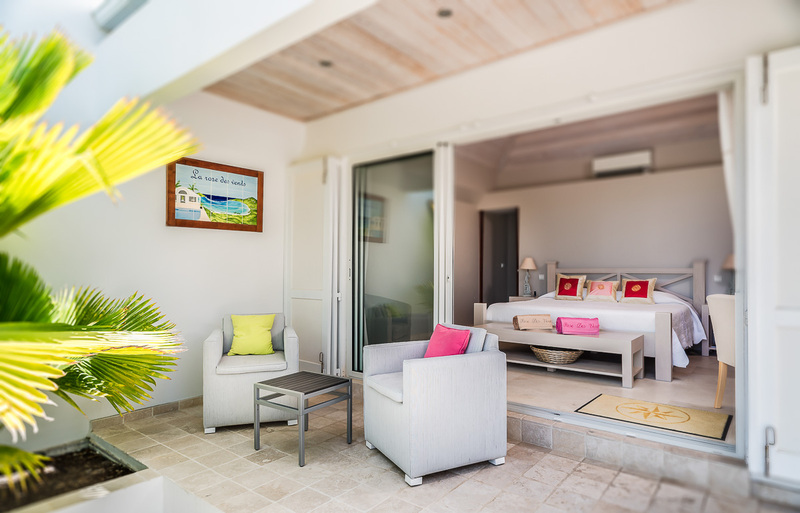 Four air-conditioned bedrooms allows for eight guests to stay here. 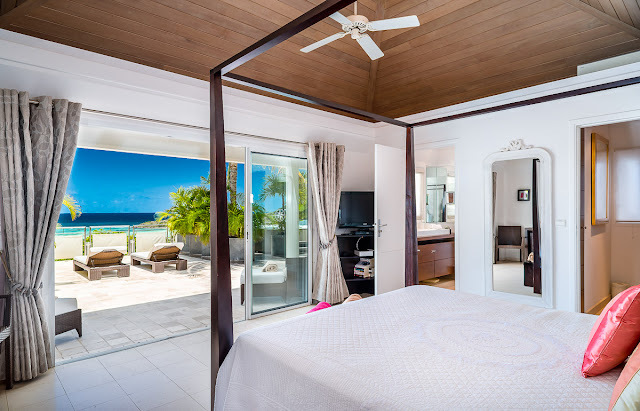 All rooms are individually decorated and feature en-suite bathrooms with showers, queen-sized beds and TVs with DVD players. 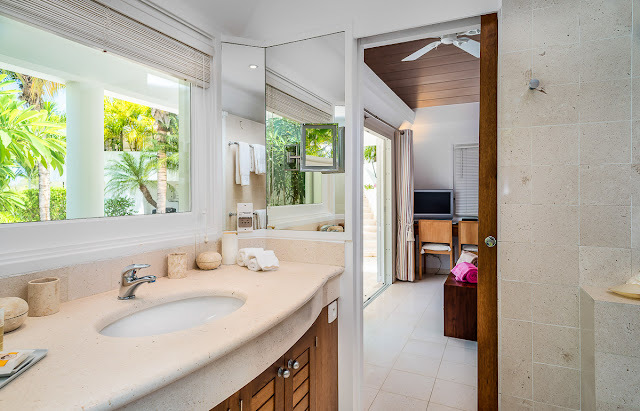 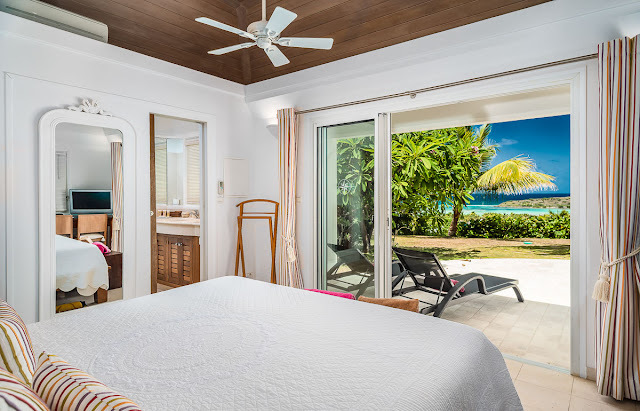 They also include private balconies with sitting areas (the fourth room is in a separate bungalow). 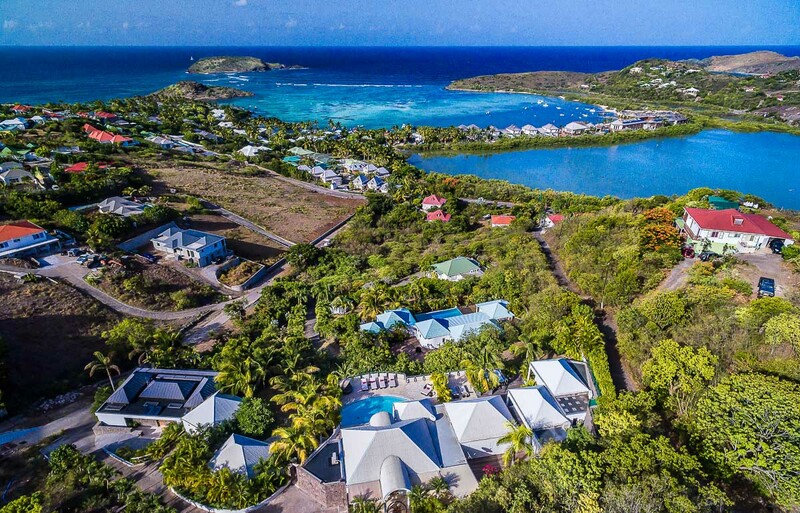 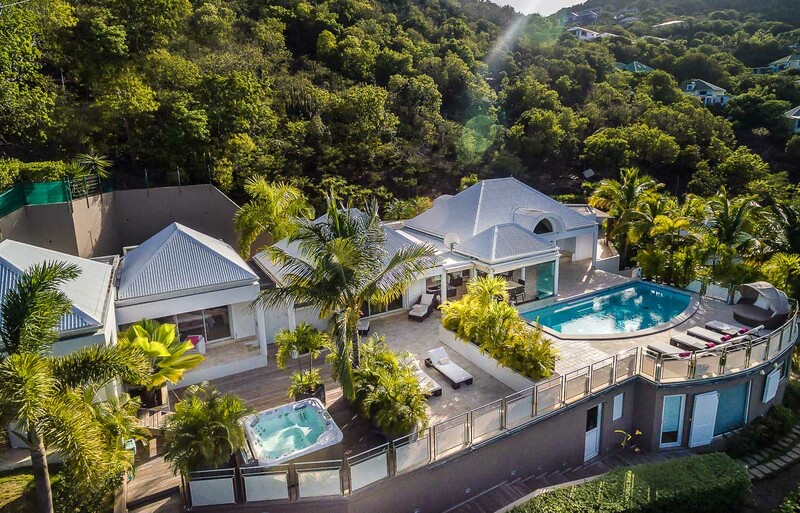 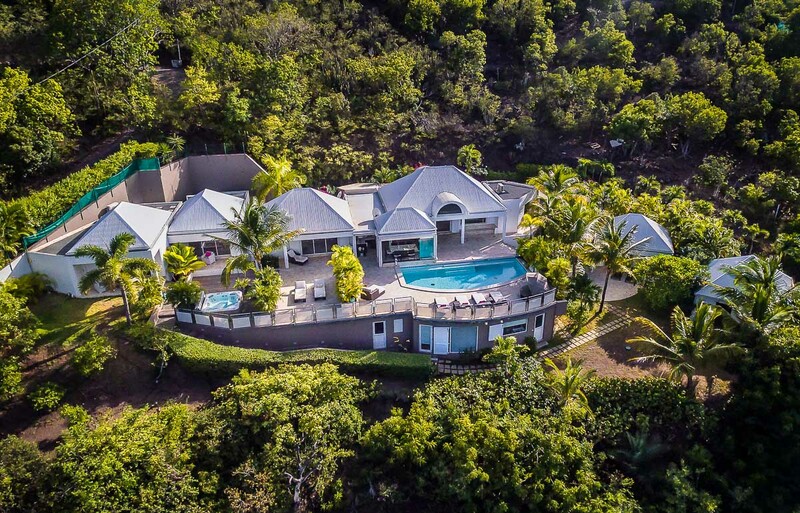 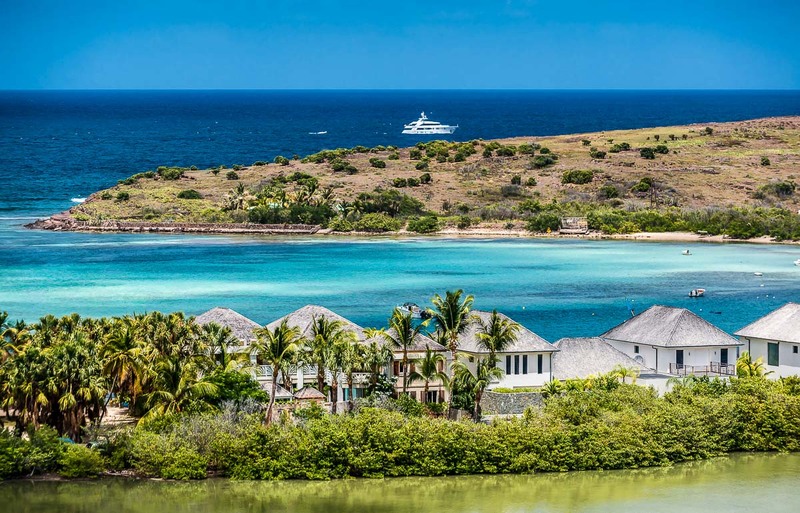 But the highlight of this estate is that it is just a five-minute walk down hill to the lagoon of Cul de Sac and the restaurants that line the beach. You’re also only 15 minutes away from the top-notch restaurants, boutiques and galleries of Gustavia, the island’s bustling capital.